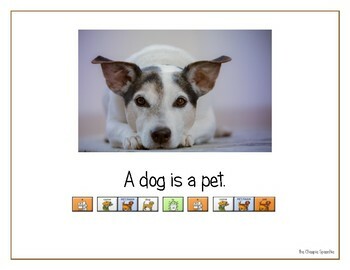 “Pets” is an adapted book using LAMP Words for Life® pathways created by the Cheapie Speechie. The visual provision of these pathways encourages learning and independence in our clients who rely on AAC to communicate. 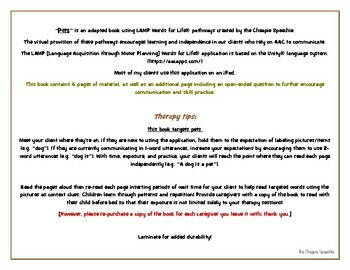 This book contains 6 pages of material, as well as an additional page including an open-ended question to further encourage communication and skill practice.